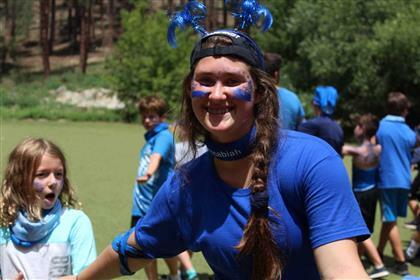 The Leadership Training Program (Giborim): LTP is specifically designed for teens entering 10th grade with an emphasis placed on developing and cultivating leadership skills. Teens will work with younger campers, putting their new-found skills into action. To gain a deeper understanding of Tikkun Olam, they work together on a significant project that will benefit the community. This is a 4-week program, plus a special extended (4-day) overnight, the highlight of the LTP experience. Counselor In Training Program (Ozrim): The Ozrim CIT program for teens entering 12th grade begins the process of developing quality future counselors with a mixture of interactive discussion and role-playing exercises, along with supervised hands-on experiences. Training sessions emphasize child development, group dynamics, and quality leadership training. Candidates will be required to provide appropriate character references, complete an informal interview, and must have some camp experience. Participants that successfully complete the 8-week program earn a stipend. Counselor Opportunities: Camp Stein offers an exciting range of job opportunities each summer. As staff, you will have the opportunity to make a lasting impact on the lives of our campers while developing important lifelong skills and having the summer of your life! We look for competent, energetic applicants who demonstrate a love of working with young people; a desire to help build a community; an ability to work independently as well as part of a team; and a connection or desire to learn about Judaism. Previous experience not necessary. Must be at least 18 years old or entering freshman year in college. See also: Camp Stein’s The BIG TRIP Israel.